Something happens when people meditate together that is more than the sum of the parts. 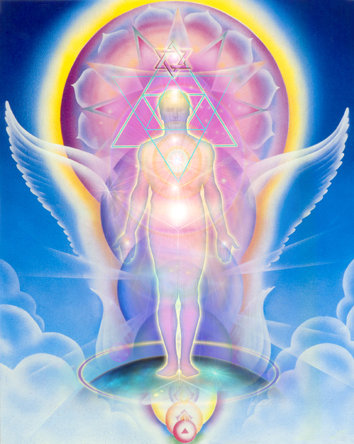 Our life intentions become more clear and strong, and our unity grows as we consciously choose to open ourselves up to divine guidance collectively. During Dharma Chakra we chant and dance in a circle for about 20 minutes with the universal Mantra Mama or Baba Nam Kevalam which means: Love is all there is. 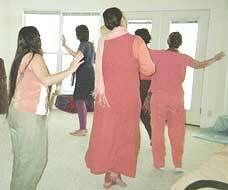 Then we sing together the Mantra of the Rig Vedas: Let us move together to set the intention for the meditation. Then we meditate in silence for 30 minutes. Brahma, or becoming One with The Self. Individual and group Yoga and meditation classes are given on request. Please call 417-469-2658 or e-mail madhuriima22@yahoo.com Sliding fee from $9 to $12 per class. Gentle yoga postures, deep breathing, relaxation and silent meditation help to increase your health, self awareness, physical and mental balance and all round peaceful energy.